San Francisco. SF or SFO. Never San Fran and definitely not Frisco. The gayest city in America, as if you weren’t aware. 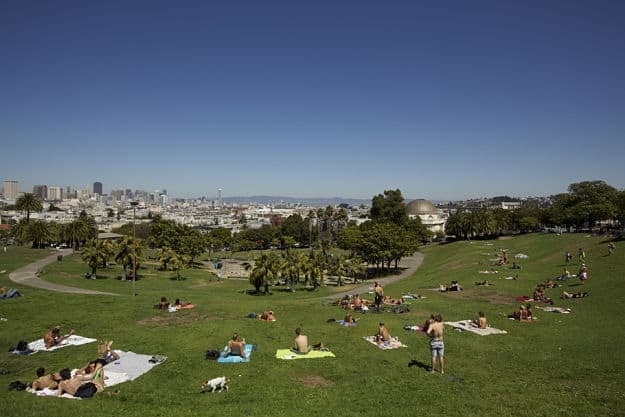 What you may not know is the secret of San Francisco: Everyone is a little gay. Everyone. Most of the city have gotten over the fact that some girls like girls and some boys like boys, sometimes two or three at a time. It’s the live-and-let-live temperament that makes the city so attractive. “Whatever man, it’s cool” should be the city motto. You might be struck by the small size of the city. 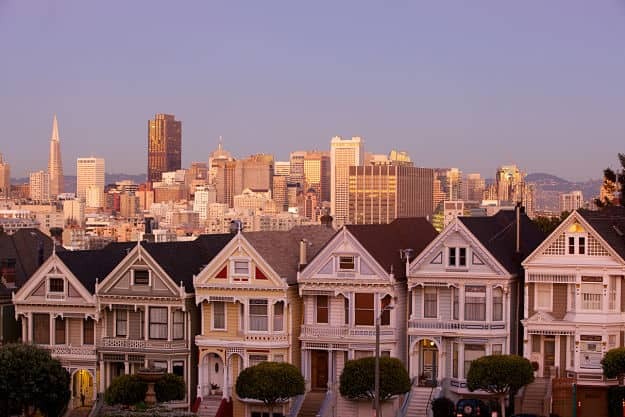 In its seven miles by seven miles, San Francisco’s residents have etched out more than 100 neighborhoods. 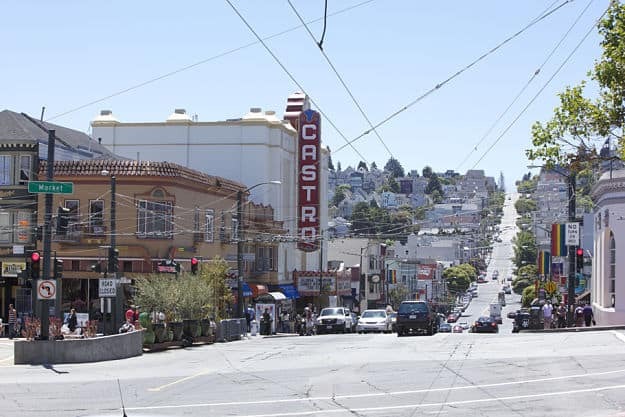 While the Castro remains home for the homos, this one neighborhood should not define your experience. The whole city is lousy with men, women, and everything in between. Let your gaydar or dykedar adjust to the surroundings and follow the beeps and clicks coming from your loins. It’s a very walkable and bikeable city. Without the car, you’ll find unique little shops and restaurants and enjoy some obscenely obvious people-watching. Great food comes with all different price tags, but to find it, you’ll have to avoid the beaten path. Do beware of the microclimates; like every good drag queen, the weather is decidedly two-faced. July and August are pretty chilly, with October being the hottest month. You’re going to wear whatever brings in the most tail, but at least you’ve been warned. When it is warm, or there’s some other half-reason, the city is about one drink or puff away from breaking into a parade. There’s the Pillow Fight in February and the Dyke March in March (lesbians can be so literal sometimes). Bay to Breakers brings the drunken “run” through the city in May, and of course, Gay Pride amps up San Francisco’s rainbow colors in June. October is probably the best time, with the Castro Street Fair and Halloween. Film festivals and art exhibits galore dot the calendar all year long, and the most wonderful thing about all of these events is that they are not segregated by gender, sexuality, or age. You can do the city in about 3 days, so if you have the time, the real romance of the area exists outside of city limits. You will be within two hours of beautiful hikes, such as those at Mt. Diablo State Park, or seaside resort towns like Monterey. If you’re up for wine tasting, Napa and Sonoma are even closer. For something more bohemian, head to Berkeley for hippies and college students. 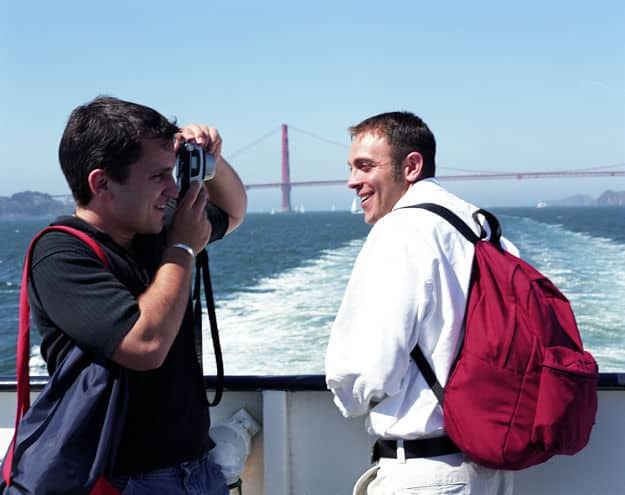 You’ll find the relaxed pace of San Francisco permeates every corner of the city. 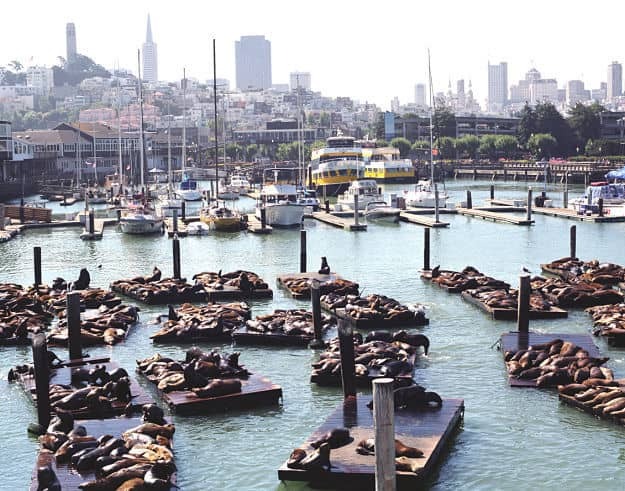 If New York is the city that never sleeps, San Francisco is the city just up from a nap. You decide whether to really wake it up or just snuggle a little bit more. Whatever man, it’s cool.